Is there a better alternative to Tasks? Is Tasks really the best app in Productivity category? Will Tasks work good on macOS 10.13.4? Tasks Management Simplified - Tasks+ app helps you to track all your tasks and ensure that they are completed. The simple and data focussed interface helps you to focus on your tasks at hand. Quick and Easy - Tasks+ gives you the power to capture any task in just a key stoke or a click. You will never miss to make a note of the task in hand for want of time. Tasks needs a review. Be the first to review this app and get the discussion started! Tasks needs a rating. Be the first to rate this app and get the discussion started! 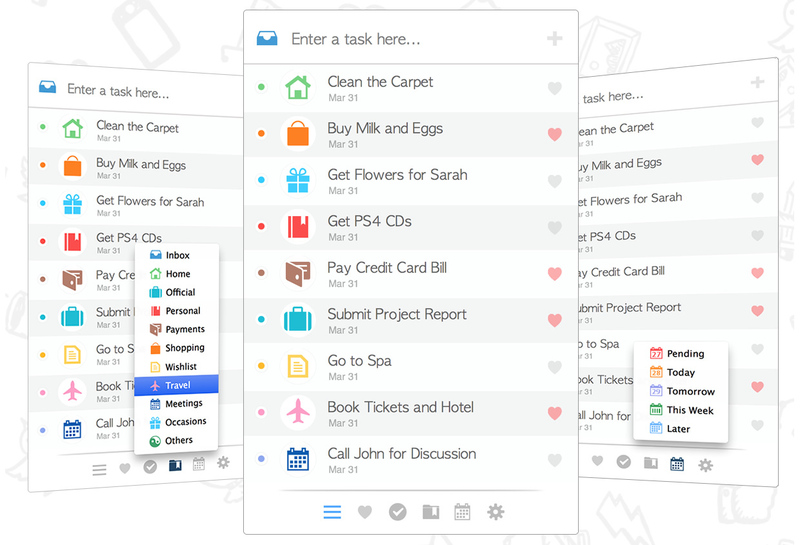 Awesome App Flow - Every Mac User has a very busy day and that is why Tasks+ is designed to be simple with an intuitive app flow that helps to get the tasks tracked and completed. Categorise your Tasks - Categorising helps to group tasks for easy tracking and effective completion. 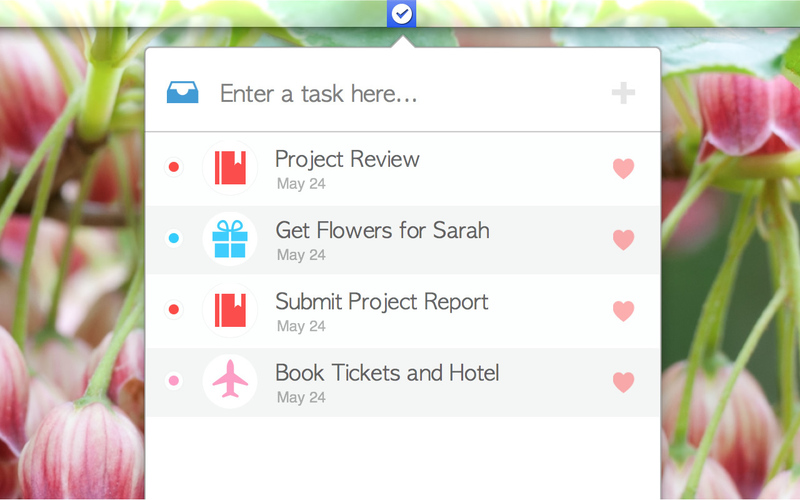 Tasks+ provides the feature to assign a category to a task in a single click. View Tasks By Category - Tasks+ app provides the feature to view all tasks of a category in a single click. This helps you to understand the level of work required in each category and plan accordingly. 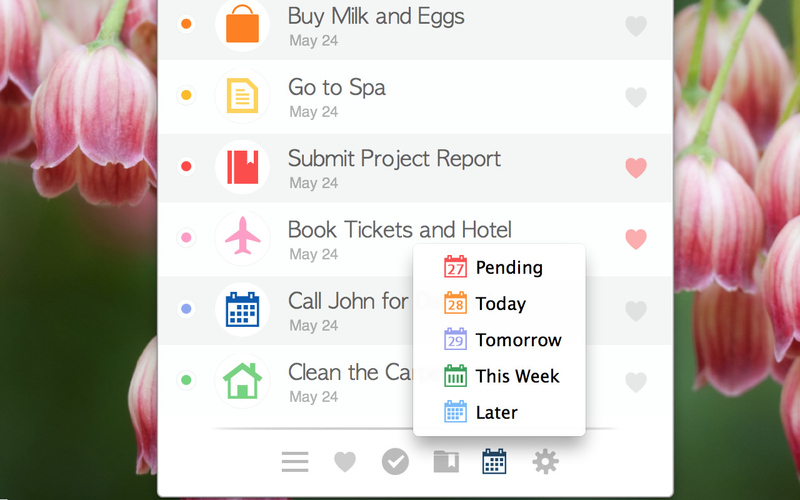 View Tasks By Due Date - Tasks+ app provides the feature to view all tasks by due date. You can view tasks that are overdue, pending today, tomorrow, this week and later. Instant Reach - Tasks+ app is available in menubar always if you enable it to launch on start and can be activated in a single click or configured hot key stroke. Launch on Start - You can configure the Tasks app to launch on start so that the app launched silently and is available instantly for your click or key stroke. 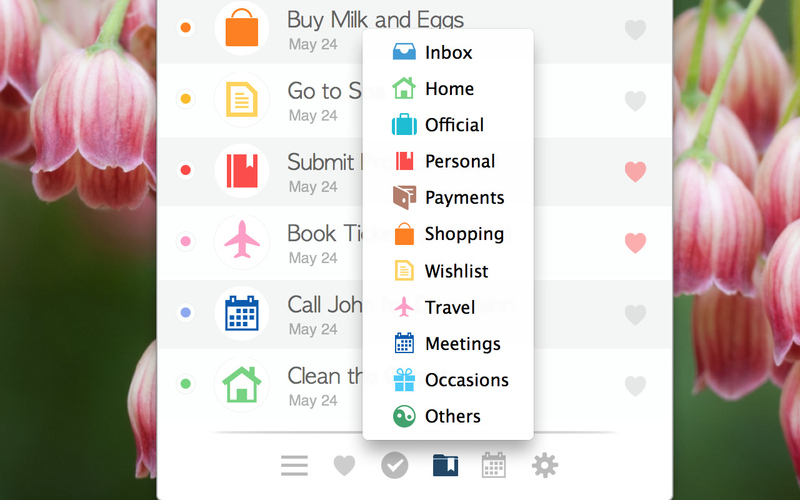 More Awesomeness - You can mark your favourite or important tasks and also view their exclusive list. Also you can share any note via email and print your tasks.